Crystal Palace are monitoring ​Roma forward Patrik Schick, intending a potential loan move for the player in the January transfer window. The Eagles, who have only scored eight goals this season in the Premier League, are looking to bolster their attacking options and have identified the 22-year-old as an option to solve their goalscoring problems. 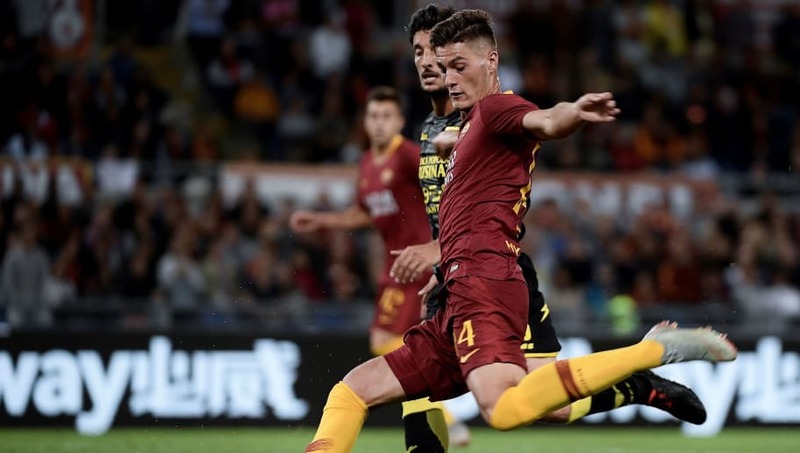 Schick could still become Roma's record signing if various add-ons are triggered by the Italian club, but at present is finding game-time difficult to come by in Rome with ex-​Manchester City forward Edin Dzeko in such good form. Roma boss Eusebio Di Francesco has not shown any desire to give Schick regular first-team action, and a loan move for the 22-year-old to London, as reported by Italian outlet ​Calciomercato, would make sense for both parties. ​Palace have struggled for goals this season and have recently seen striker Connor Wickham pick up a thigh strain after just returning from a long injury. The 25-year-old has endured a gruelling rehabilitation process after rupturing his cruciate ligament against ​Swansea City in November 2016, but now a fresh thigh strain injury has put the Englishman back on the sidelines once more. Belgian forward ​Christian Benteke is another on the injury list for Roy Hodgson, with the 27-year-old not expected to return to playing this year following a knee surgery. Despite the obvious attacking prowess of ​Wilfred Zaha and ​Andros Townsend,​ Palace’s forwards simply aren’t scoring enough goals and Roy Hodgson has been in the game long enough to know it's an issue that needs addressing. Schick would be a good addition to the Palace forward line, and the Eagles will hope that the Czech international can find the form that made Roma pay up to £18m for his services. The striker bagged 13 goals and five assists with Italian side Sampdoria before his switch to the Italian capital. However, Palace will reportedly have to fend off interest from Bologna, Parma, Real Valladolid and Udinese for the 22-year-old striker in January.